Assoc. Prof. Dr. Surapol Natakankitkul is one of the scientists conducting Research on Phellinus mushrooms at the Department of Pharmaceutical Sciences, Faculty of Pharmacy, Chiang Mai University, Thailand. His research focuses on suppository and intravenous therapy by using Phellinus mushroom. Dr. Natakankitkul received his Ph.D. in Biotechnology & Analytical Chemistry at Innsbruck University, Austria in 1991. 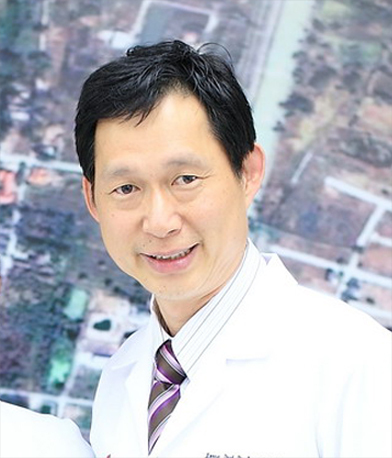 He received his Master in Clinical and Hospital Pharmacy from Chulalongkorn University, Bangkok in 1996. Dr. Natakankitkul has extensive experience in quality assurance for drug, cosmetic, food and natural products; hospital administration and pharmaceutical industry management; ISO, GMP, HA, HACCP, MS-QWL, TQA Auditor; drug profile and forensic science specialist. He has published numerous articles and research papers.